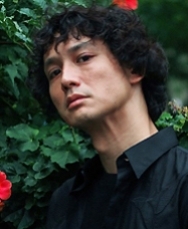 Masanobu Ando is an established actor both in Japanese television drama and film and has gained a lot of acting experience. Famous directors whom he has worked with before include Kitano Takeshi, Motohiro Katsuyuki and Fukasaku Kinji. He is best known for his role as the the insane killer in Battle Royale (2000). These days he is mainly focusing on films. This page was last edited on 8 November 2018, at 11:30.